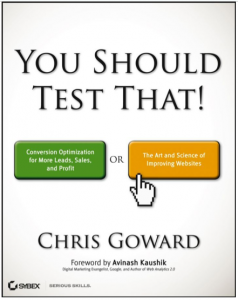 1) The author, Chris Goward of WiderFunnel, is a smart guy who’s run a lot of tests and developed a solid framework for Optimization. 2) I played a small part in the creation the book as his Technical Editor. I got to read the book as it was written, chapter by chapter, to help optimize the experience you’ll have reading it. 3) Any book with a foreword written by Avinash Kaushik is a book worth reading! On December 6 of last year, I presented a session at the BestPractices conference in Seattle, WA. BestPractices is a conference and webinar series presented by Analytics Pros and focused on, you guessed it, “best practices” around digital analytics and optimization. 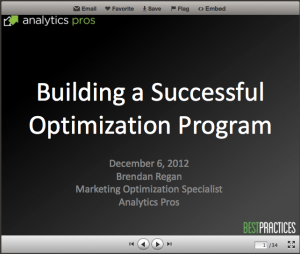 The session was titled “Building a Successful Optimization Program” and the slides have been posted for public consumption. 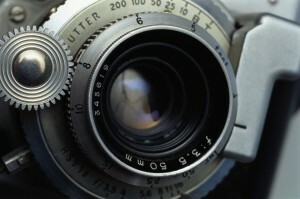 Do Your Landing Pages Leverage the Rebuttal Approach? I’ve written a fair amount over the years about using the 3 stages of the decision-making process as a framework for doing analysis and Optimization. At each stage of the process, the prospect’s mindset and needs are different. 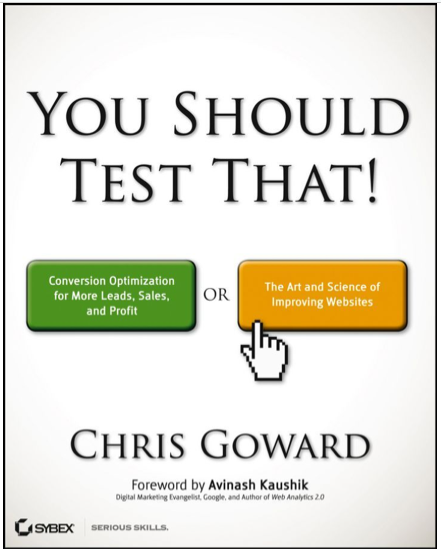 Therefore, your tactics for persuasion, testing, and Optimization should be different. Today I’m going to focus on “Middle” and “Late Stage” prospects, and on one crucial tactic for converting prospects at these stages of their conversion journey. The tactic is more often used in B2B (and especially SaaS) marketing, but I believe it can be applied effectively in B2C scenarios as well. I call the tactic for this post the “Rebuttal” Approach. 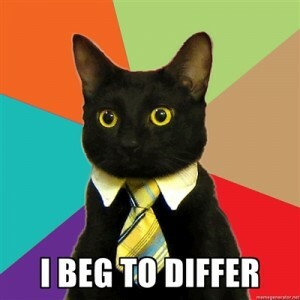 It’s a borrowed legal phrase which is also used in politics; especially in debates. A rebuttal is an expected opportunity to counter-argue known points that your opponent has made. In political debates, an opponent is often given, say, 30 seconds to make a rebuttal argument against a specific point just made. We all know that Optimization and testing efforts should be “data driven.” Quantitative and qualitative data should lead you to the problems that testing attempts to solve for your prospects.